I stressed and stressed about what type of case to get for my HTPC. I didn't suffer from the same concerns re the NAS. I have been looking at, and droiling over, the Fractal Design Define R5 for ages. It was only a question of what parts I put into this case. I didn't have any preconceived thoughts about what I wanted to I spend some time googling various how-to NAS reviews and posts. There are boxes that you can buy but some of the reviews and polls that you see online include the option of building it yourself. There has been one blog that I have been following for a number of years ... by Brian. He wrote an entry about his first NAS back in 2012. He updated it in 2014 as well as peppering in some about economical NASes (is there a plural for NAS?). I started to pull together parts based on Brian's 2014 version. 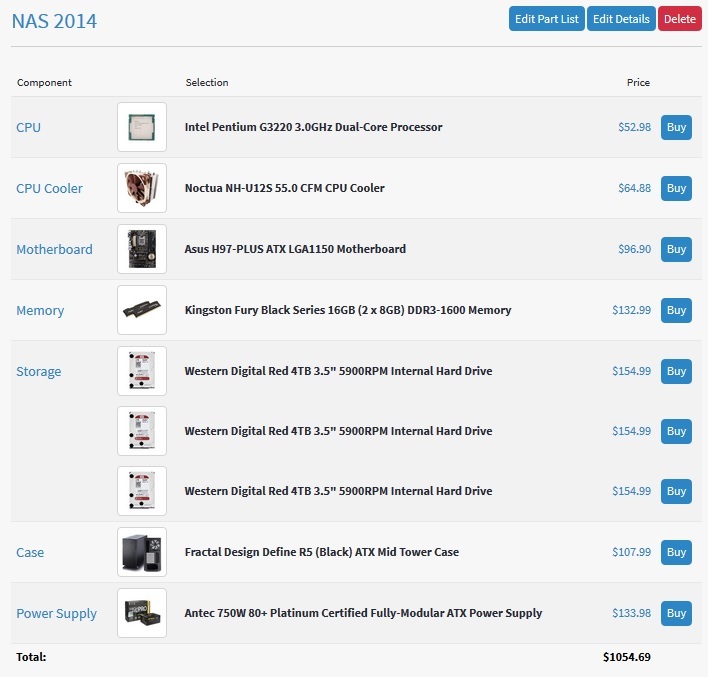 This is what I came up with (see www.pcpartpicker.com list below). It even had a strong color scheme with the mobo, ram, psu and case all black. I could even swap out the cooler for a cryorig with a black shroud. I even found some cool looking case fans. Then Brian threw a huge curve ball at me and changed his plan of attack re NAS with his NAS 2015 blog post. 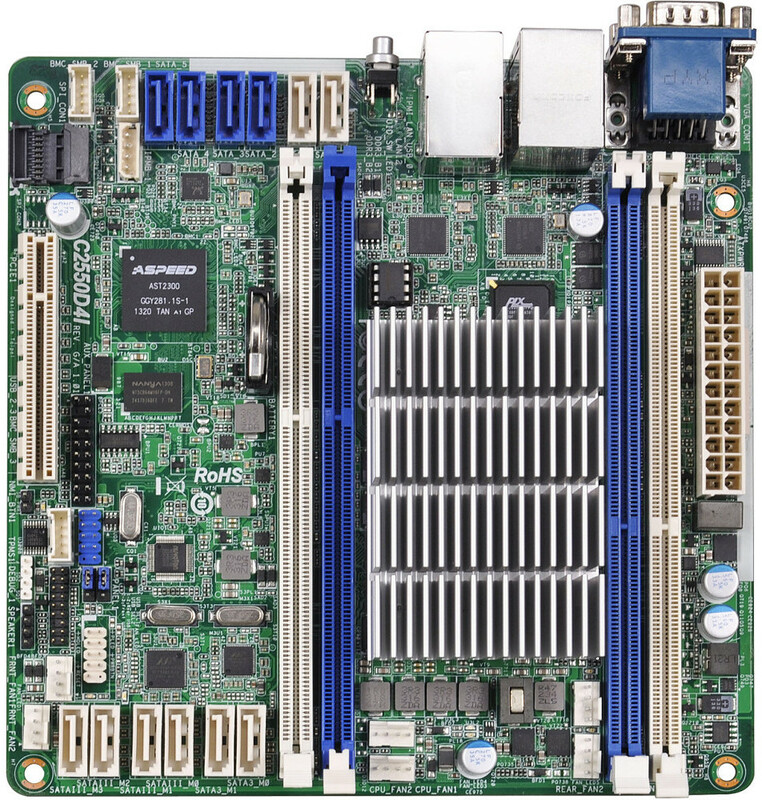 He started with a mobo that had an integrated CPU and was passively cooled. He also moved from 'normal' ram to ECC ram - losing the colored heat spreader. How on earth am I meant to make a black color scheme with that? I just might go the whole hog and make a green, blue, white color scheme. Throw in some suitable case fans, mod the case, etc, etc. It doesn't have to be pretty ... it can be as garish as you possible - it is going to live in the basement in a dark corner and no one will ever see it (except maybe the guy doing the furnace service).